Second installment for 2018 we have Jamesey from Makin Moves! 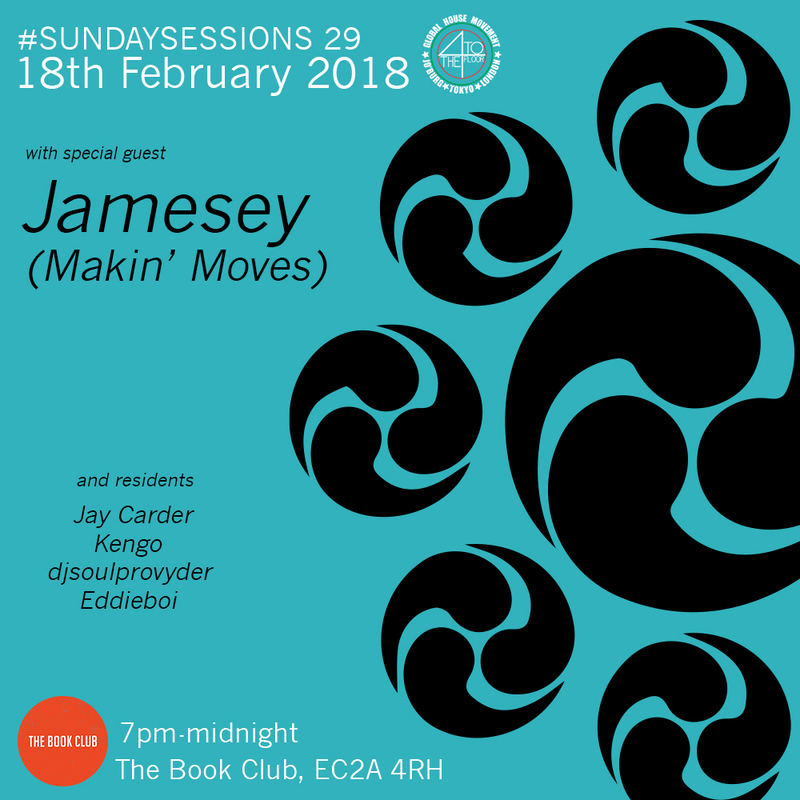 Many collaborations have happened in the past but it’s the first time (about time) Jamesey graces us for a Sunday Session. Co-founder of record label Makin Moves with Matt L-S, they welcome their sixth year with over 60 releases. The guys have worked with established artists such as Peven Everett, Omar, Kenny Bobien, Franck Mccomb, Sheree Hicks, as well as working with new talent in the form of Wipe the Needle, David Anthony and DJ Beloved from the States. The Makin’ Moves Radio Show is every Thursday on www.housefm.netfrom 6-8pm (GMT) with Matt, Jamesey and since the back end of last year the boys have been joined once a month by their good friend Jihad Muhammad with his Bang the Drum show. As usual support is provided by 4TTF residents Kengo, Jay Carder and djsouprovyder. 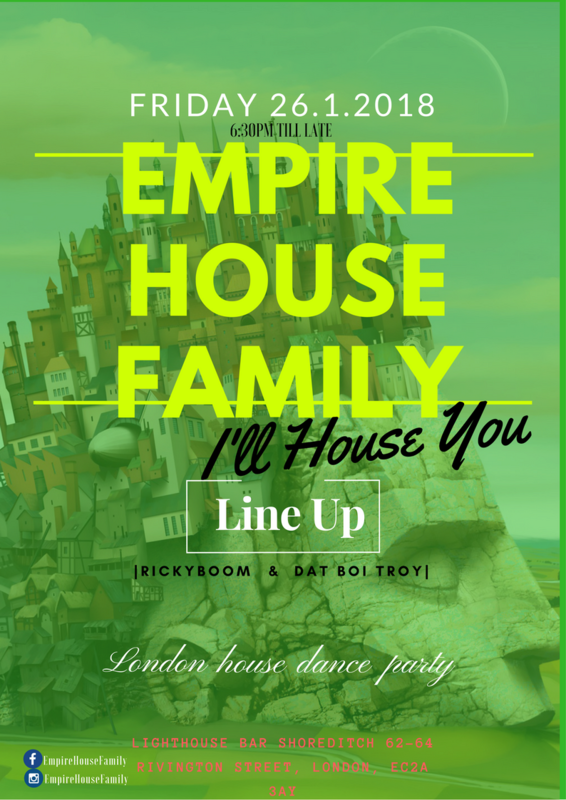 Empire House Family brings together all who share the love and respect for house music PERIOD. It is a collective, a congregation a family of dancers, movers and shakers who express not impress their OWN moves and unique style of dance to House Music. Originally an idea where lovers of the dance and music would meet up at a friends house, eat food, listen to music and simply…jam!Every month EHF will be hosting a party, jam, battle that caters for all tastes in House Music. With unique themes, live PA’s, Dance showcases and guest DJ’s you’ll be glad you’re part of this UK based phenomenon. -Registrations ONLY on the day. -Winner gets a FREE SPECTATOR TICKET to watch one of the biggest street dance event in the world, Juste Debout UK Goodies and cash price. Empire House Family is an event based on donations. 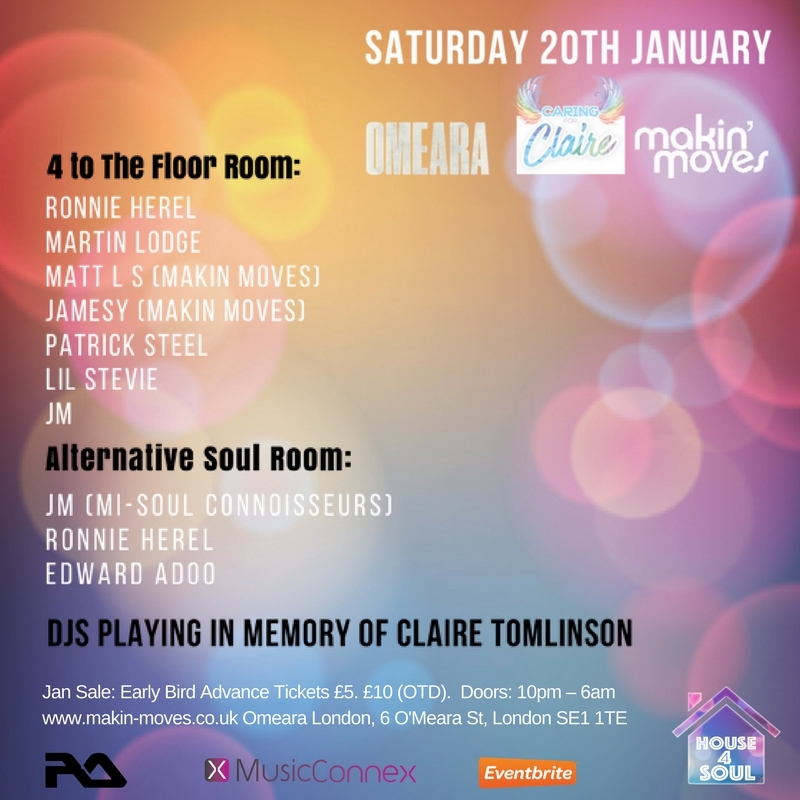 Following our great collaborative party back in November, Makin’ Moves and House 4 Soul join forces once again to kick start your new year in full effect as we come together once again on Saturday 20th January at the amazing OMEARA venue in London Bridge! Again there will be two rooms of fab soulful music for you and we’re proud to have room 2 hosted by some of the Caring For Claire DJ’s that are playing in the memory of Claire Tomlinson who we sadly lost to cancer in September 2016. Tuesday 9th January would have been Claire Tomlinson’s 37th birthday so we want to continue to keep her memory alive as she would have liked by playing her favour music and her favourite friends coming together to celebrate her life once again.. This years event funds went on a lovely memorial bench that was erected earlier this year and that many of you have visited in the grounds of St Pauls Cathedral so any funds that we raise on the day will go to towards the up keep of the bench and other cancer charities of the Tomlinson family choice. Glad to have back once again with a fresh remix, our good friend and producer DJ Beloved from BPM Productions. 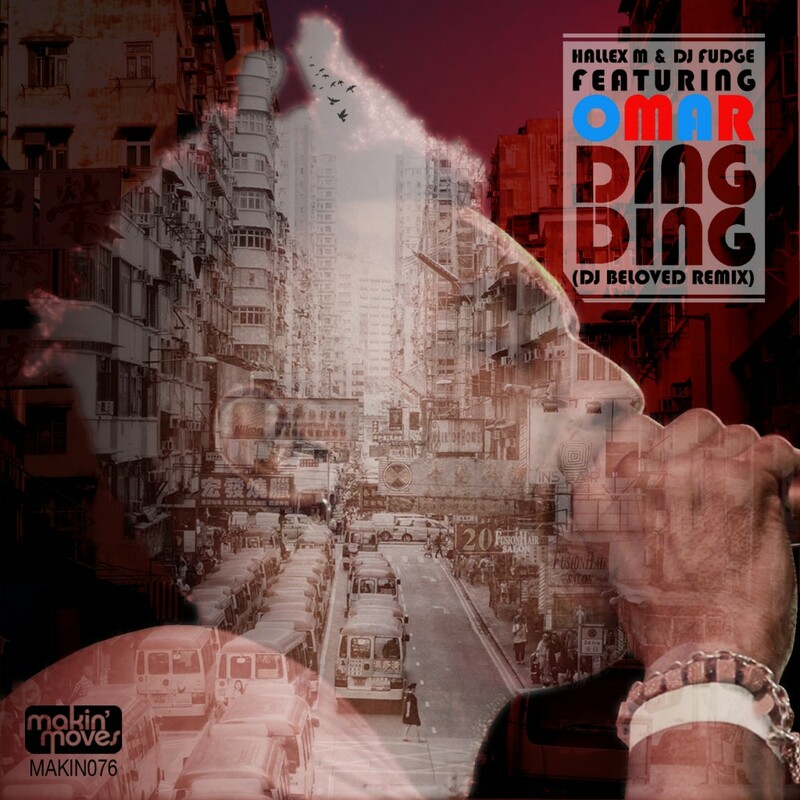 Ding Ding was first released in 2014 and was a big club hit for us. 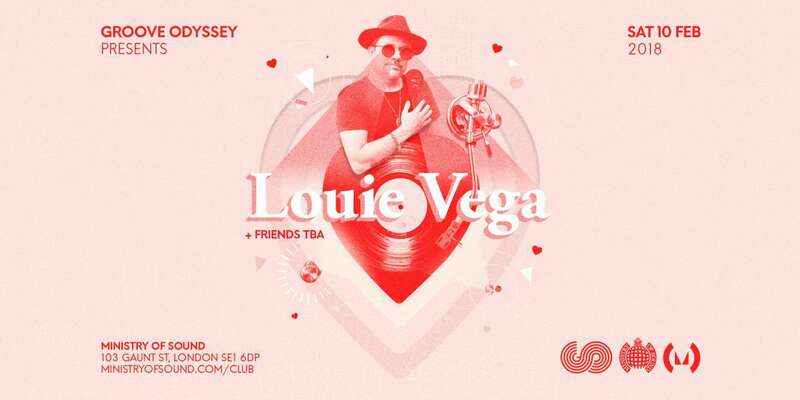 DJ Fudge has long been a force in the house music scene since his Trouble Men days on the well-respected Kif Recording, and alongside his good friend Hallex M who has carved a notch in the new breed of rare talent over the past years. Both guys had longed to work with UK soul legend Omar Lyefook. And in 2013, their dream came true when Omar visited Hong Kong where Hallex and DJ Fudge both currently reside and there they worked on two tracks which still have music heads talking. Both DJ Fudge and Hallex are prolific producers in their own right at the moment and you should certainly check out Hallex M’s new Soul Odyssey album which recently dropped on Groove Odyssey Records.